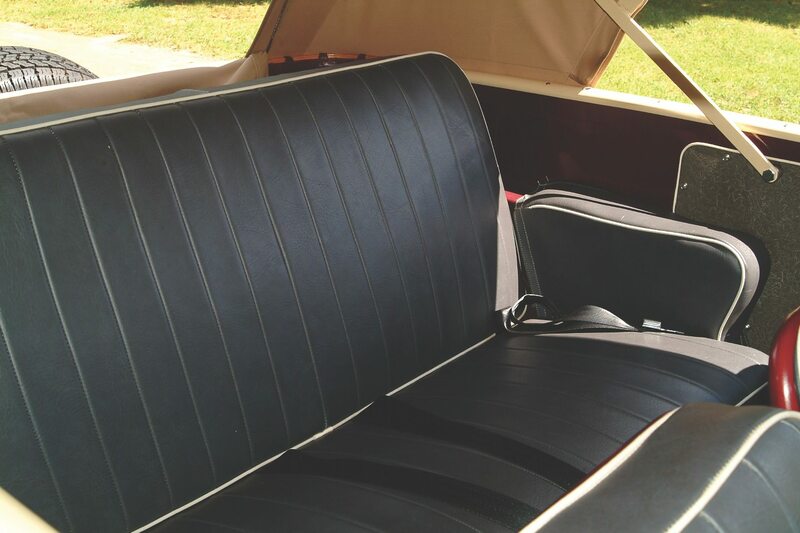 The trademark square Jeep fenders are present on the Jeepster, but the chrome-plated step-pads, beltline trim and other brightwork were intended to add some eye-appeal for the car-buying public of the day. With the top down, the Jeepster actually looked jaunty, although calling it ‘sporty’ may be somewhat of a stretch. Despite a three-year production run from 1948-1950, the Jeepster never caught on with the general public and just a tad over 19,000 copies rolled off the assembly line during that period. You certainly wouldn’t be far from the mark if you said the Jeepster was the original “crossover” vehicle, since it was indeed an attempt at being a passenger car while still maintaining some of the traditional Jeep traits and appearance. Willys-Overland, the owner of the Jeep trademark, started producing the CJ (which stood for Civilian Jeep) in 1945, right after WWII ended. The company then introduced the Jeep Wagon in 1946 and added the Jeep Truck in 1947. All three of these models, however, were still very utilitarian vehicles and lacked the finesse, softer styling and amenities of traditional passenger vehicles. 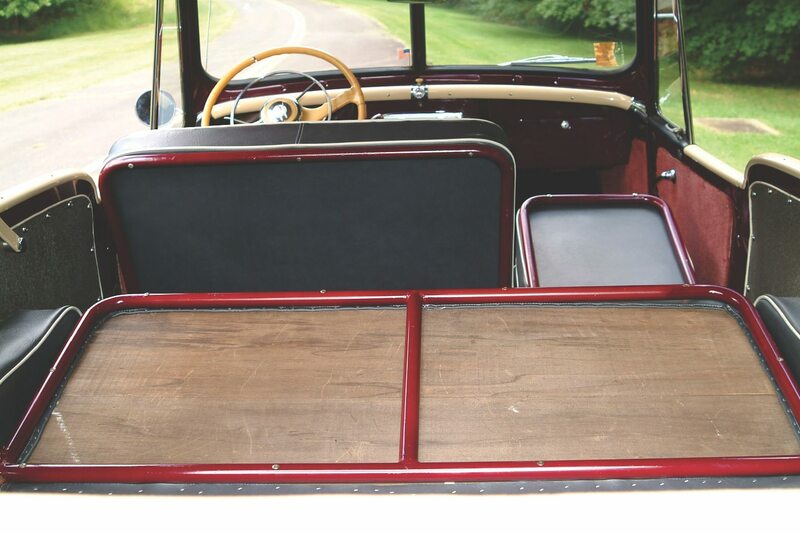 The company decided it needed a vehicle to fill this gap in their product lineup, so the Jeepster (known as the “VJ” inside the company) was introduced by Willys-Overland in 1948. While the automotive press was generally enthusiastic about the Jeepster, it was less than a stellar success among the buying public. Its distinctive boxy styling (the creation of noted industrial designer Brooks Stevens) was decidedly “Jeepish” and to many GIs who had served overseas during the war, it was reminiscent of German army troop vehicles (that eventually emerged on the consumer scene several decades later as the Volkswagen Thing). And since the Jeepster was only available with rear-wheel-drive, it undoubtedly lost market share to potential buyers who wanted and/or needed 4-wheel-drive capabilities. By stowing the spare tire outside, additional passenger and cargo room (behind the seat) was made available. The same 62-horsepower, 134cid (2.2 liter) straight 4-cylinder “Go Devil” engine used in the CJ model also powered the Jeepster, and it was coupled to a 3-speed manual gearbox that was available with optional overdrive. 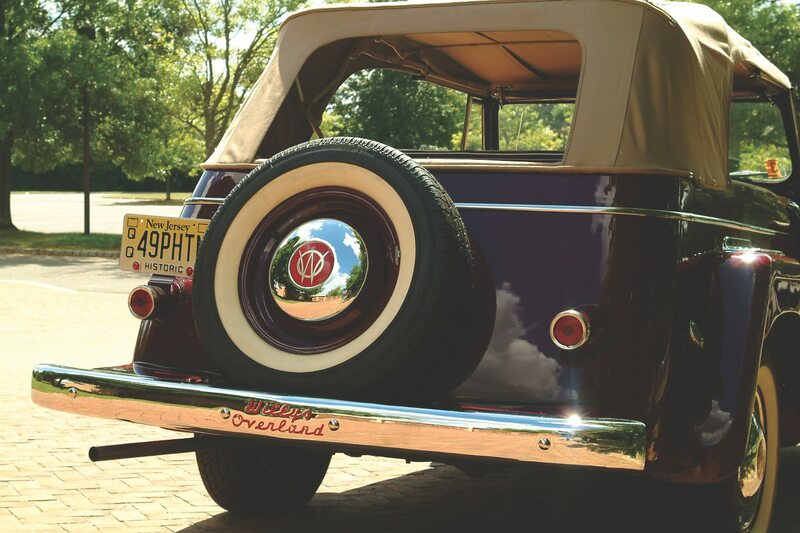 Drum brakes at all four corners provided the stopping power, and the Jeepster’s front end and single transverse leaf spring suspension was the same as that used on the Willys Station Wagon, as was the rear driveline. The longitudinal rear leaf springs and the flat-top rear fenders were direct take-offs from the Jeep truck. A single-barrel side-draft carburetor feeds the flathead, cast-iron mill. 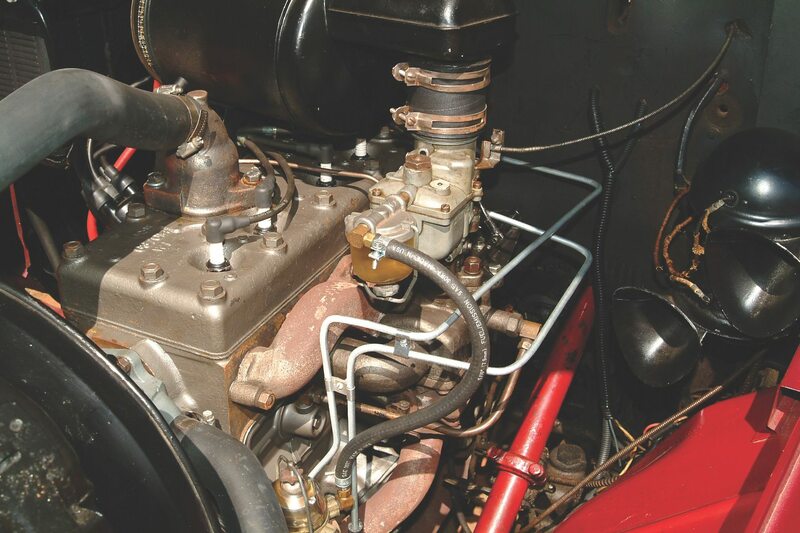 The same engine was used on the CJ model of the 48 Car ColleCtor January ’09 ￼￼￼￼same period. Poor marketing efforts coupled with sparse advertising further hindered public acceptance and sales of the vehicle. The company ceased production of the Jeepster in 1950, although some leftover models were still sold during the 1951 model year. 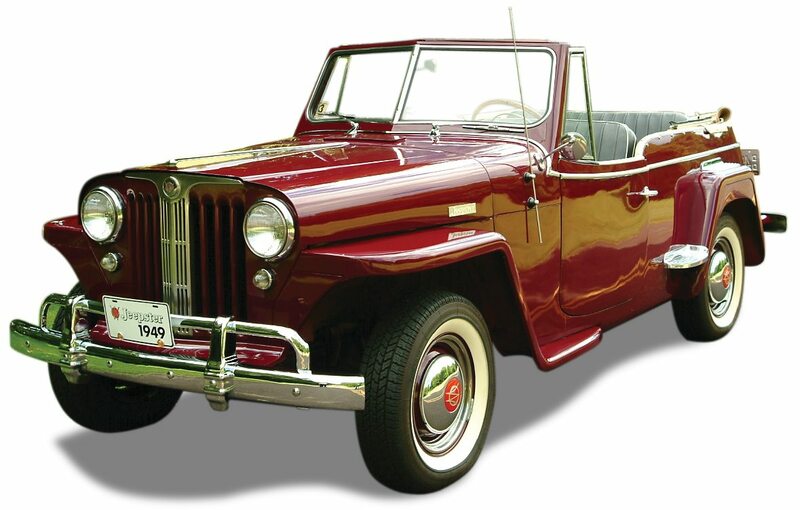 In total, only 19,132 Jeepsters were produced. 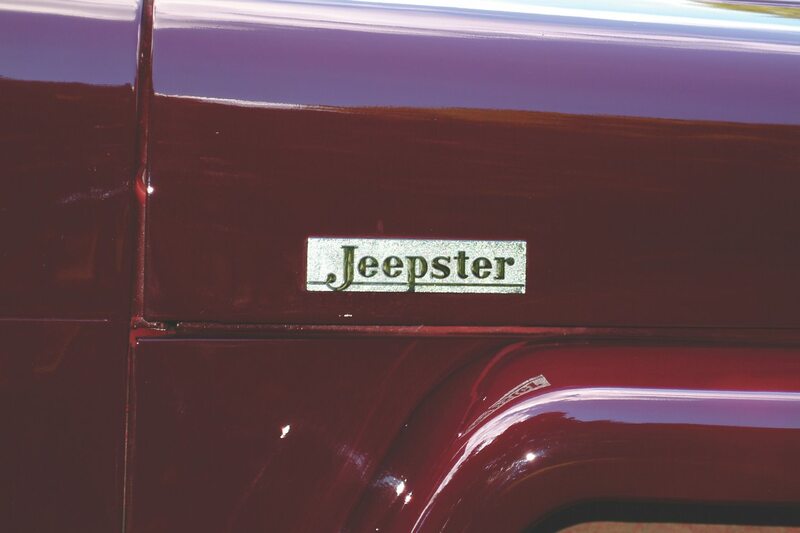 Like a bad penny that keeps turning up in your pocket change, however, the Jeepster name was revived in 1966 on a new model, this time christened as the C-101 Jeepster Commando. And, as with the original Jeepster, sales once again failed to meet expectations, so American Motors (AMC), the successor to Willys-Overland, dropped the Jeepster name for 1972 and halted production after 1973. Ironically, many years later, the Jeepsters maintain a unique following among collectors. 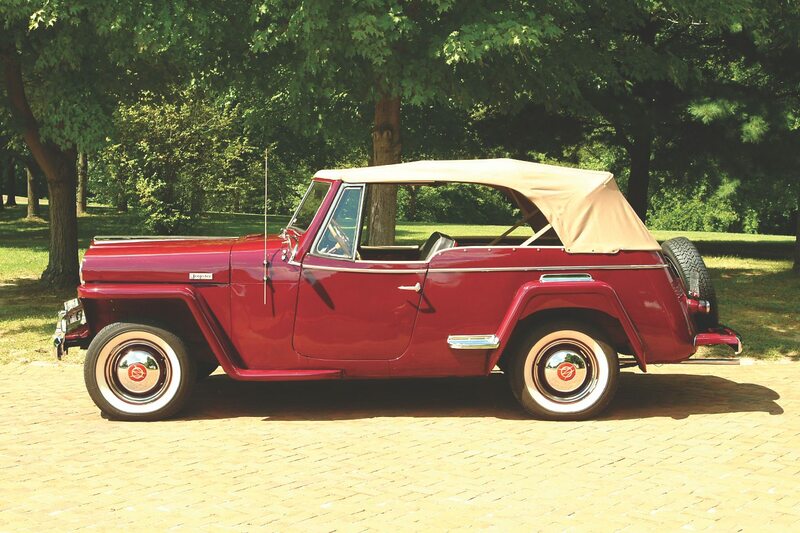 This particular Jeepster is a ‘survivor’ that minimal restoration work has been performed on. The directional signal was a dealer-installed option. If you have to haul some stuff, the rear seat folds down, as does the front passenger seat, to make room for cargo. The bench rear seat is surprisingly comfortable and three adults can fit on it without too much trouble. 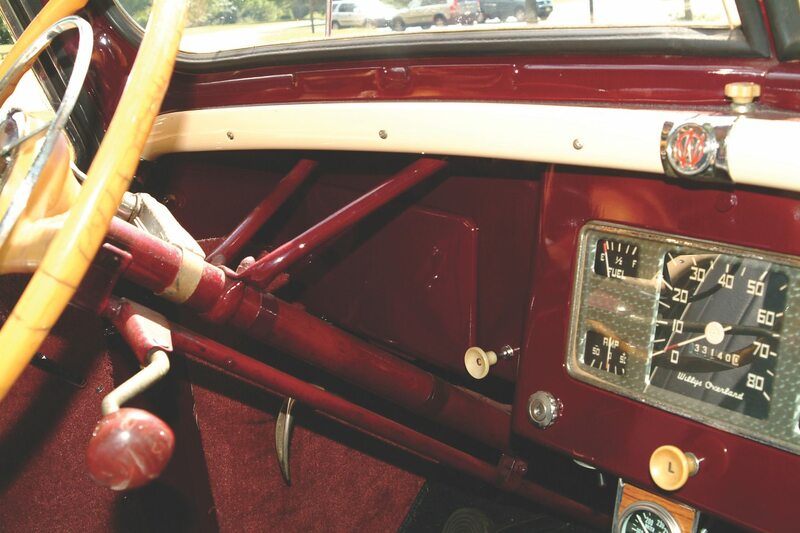 The dash panel in front of the steering wheel became the glove box if a right- hand-drive version of the Jeepster was ordered – a bit of forward-thinking on the part of the engineers. 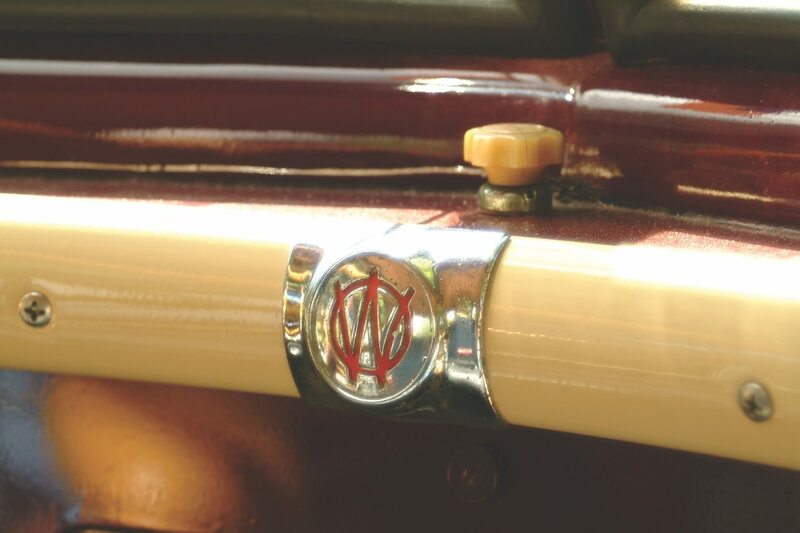 The switch to control the vacuum-operated windshield wipers is located right in the center of the dash, just below the windshield split.The overlappingW-O logo is present here, too. 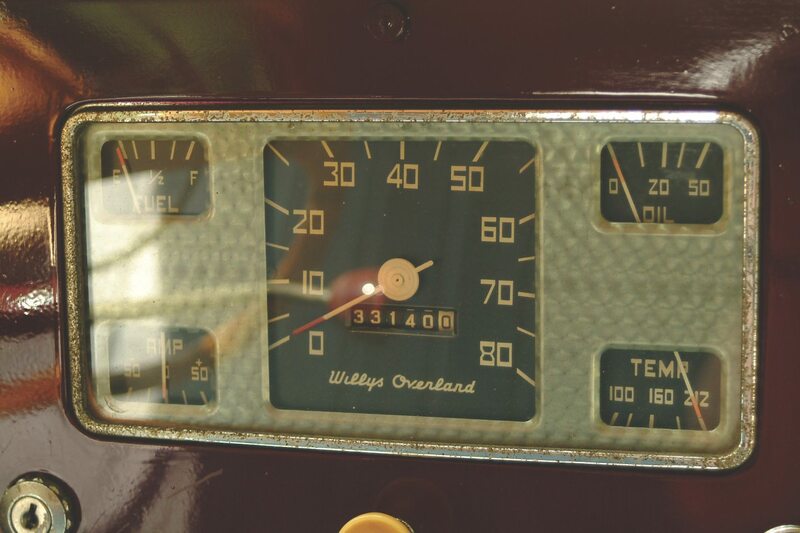 The 33,000 miles on the odometer is the actual mileage reading of this Jeepster, which has survived for almost 60 years in remarkably good shape. Owned by RayWeber of Aberdeen, N.J., it has AACA Bronze status. Name badges adorn both sides of the hood. Sadly, the vehicle never really caught on, either in this, its original form, or in the AMC reincarnation decades later. 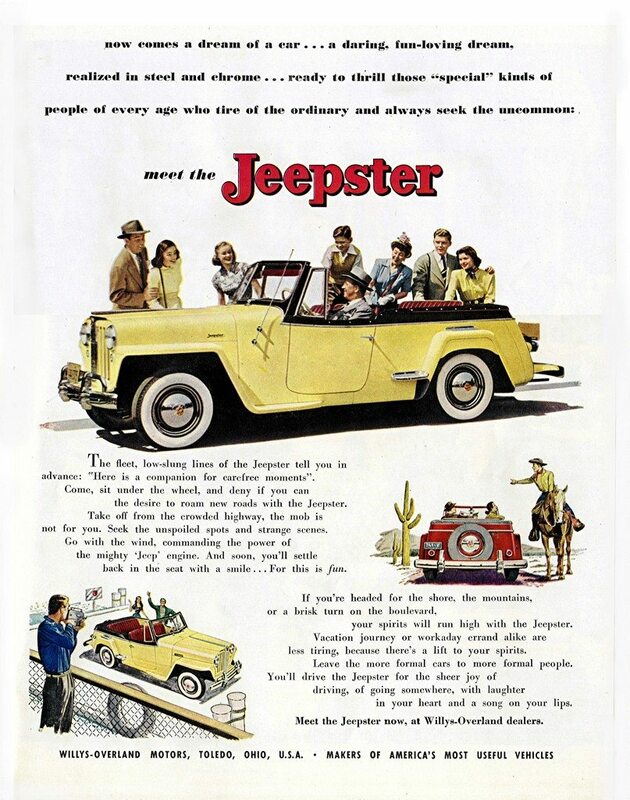 Ads like this one were the company’s attempt at making the Jeepster appeal to car buyers of the day but, alas, they didn’t do the magic the company hoped they would. 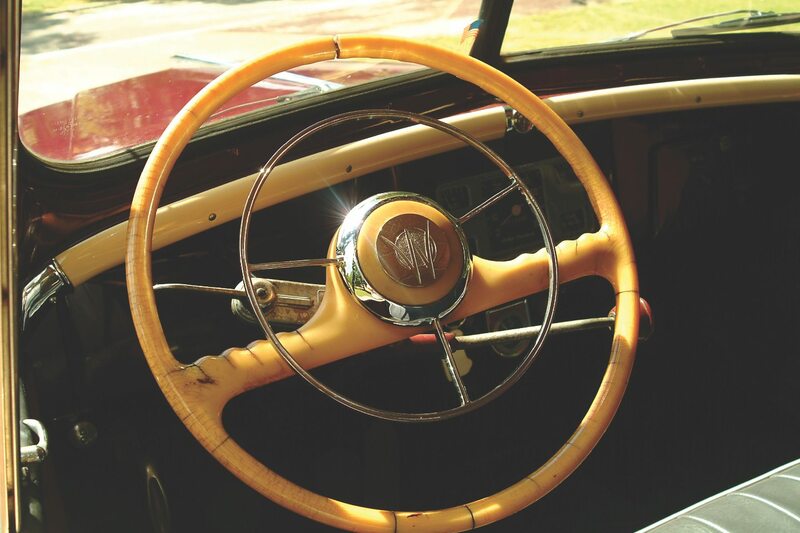 If you have a Willys or another collectible you’d like to insure with us, let us show you how we are more than just another collector vehicle insurance company. We want to protect your passion! Click below for an online quote, or give us a call at 800.678.5173.